The reason why so many people fail in their goal of losing excess weight is that they think there's one perfect diet for weight loss. 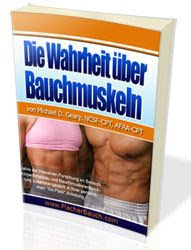 They spend so much time trying out all of these miracle weight loss techniques that come out in the market claiming that they're the perfect weight loss plan. A key understanding that needs to be learned by anyone who's trying to lose weight is that there is no one single perfect diet for weight loss. Weight loss involves losing body weight, so naturally it's a physical issue. You have to make actual changes in your food intake and in your level of physical activity in order to reach your target weight. However, most people neglect to realize that we are all wired differently, and the way our bodies are wired genetically often dictates the success or failure of any weight loss plan. 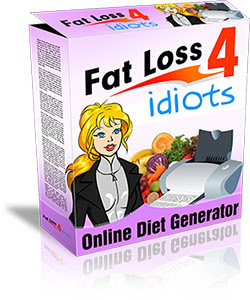 When a new diet comes out in the market therefore, this diet may work perfectly for some people while for others it may prove counterproductive. There are many factors that can affect this, genetics being one of the most common factors. This means that if Person A and Person B both take the same diet and all the factors stay the same (e.g. time period, starting weight, amount and consistency of exercise), Person A may lose a lot more weight than Person B. This is not necessarily because Person B is a lot lazier than Person A, but perhaps because Person A is just genetically wired to adapt to this particular diet more. While this diet may end up being the perfect diet for weight loss for Person A, Person B will brand the diet as ineffective and useless. These individual differences are important to note because this means that before you embark on any diet plan, you have to make sure that this diet plan will work for you. Of course we can't really tell if a diet will work without trying it out, but there are ways to filter through the many diet plans available and choose the one that may suit you best. To do this, you have to be information-sensitive as a dieter. You shouldn't just embark on a diet because everyone else is trying it out or you see celebrities swear by it. You shouldn't try it out simply because it's the current fad or because you read it in a magazine somewhere. Before embarking on any diet, you have to do your research. If you embark on a diet or a weight loss program with a well-informed mind, it will tend to work better. You have to take an active role in your weight loss program and not just blindly follow diet tips. You have to know why you're not eating a certain type of food or what a certain diet supplement is doing for your body exactly. More than just doing personal research, it also helps if you consult your physician or nutritionist before embarking on any diet, because these qualified professionals will be able to pinpoint the right diet plan that will work for you.